RIP summer. Or maybe not, I don’t know. Maybe we’ll squeeze another month of unseasonably hot weather out of this island thanks to global warming, or maybe the slushie machine will be resigned to the basement by the end of the week. Only time will tell. Anyway, weather updates aside, I really wanted to draw your attention to all the awesome shows we’ve got coming up this month. We, the Seratones, are four musicians highly skilled in the art of rocking your socks off, bringing the house down, and blowing your mind. Our goal is to make your musical experience replenish your faith in the power of Rock & Roll. Cheers to all our fans and friends for believing in the power of music! Imarhan‘s debut album is intent on dismantling the ideas western listeners have about popularized Tuareg music. This new wave of Tuareg musicians sound very different to the desert distortion that accompanies groups like Mdou Moctar or Group Inerane. Instead, it finds a calm and passionate soul, provides sumptuous slow burners, and a complexity of composition that hasn’t been demonstrated by previous music exported from the Saharan people’s musical repertoire. Line of Best Fit and Talk About Country AKA North London’s finest Country and Americana DJs, playing classics from all the outlaws, outcasts, rebels and misfit royalty of Country Music after the show in the main bar until late. Amanda Bergman is commonly known as Idiot Wind and as being the singer of the band Amason. In late 2015 Amanda finished her first full-length solo album Docks. It is written by Amanda and produced together with Petter Winnberg of Amason, Jonas Teglund and Petter Granberg and Kristian Mattsson, more common known as The Tallest Man on Earth. It will be released on INGRID on February 26. Weird Dreams is the nom de plume of the now Paris-based multi-instrumentalist, Doran Edwards. New record, Luxury Alone, represents a transformation from the 2012 debut album Choreography’s guitar and harmony driven powerpop, to a more introspective synth and fantasy focused sound. Luxury Alone was inspired at different points by the work of Daido Moriyama, Robert Ashley, Ryuichi Sakamoto, Eliane Radigue and Broadcast. An abstraction of personal, private emotion and a projection of a fantasy image, the album was written, recorded and mixed in a 4 year period of uncertain times that documents loss, de-realisation and the constructing of a new identity. 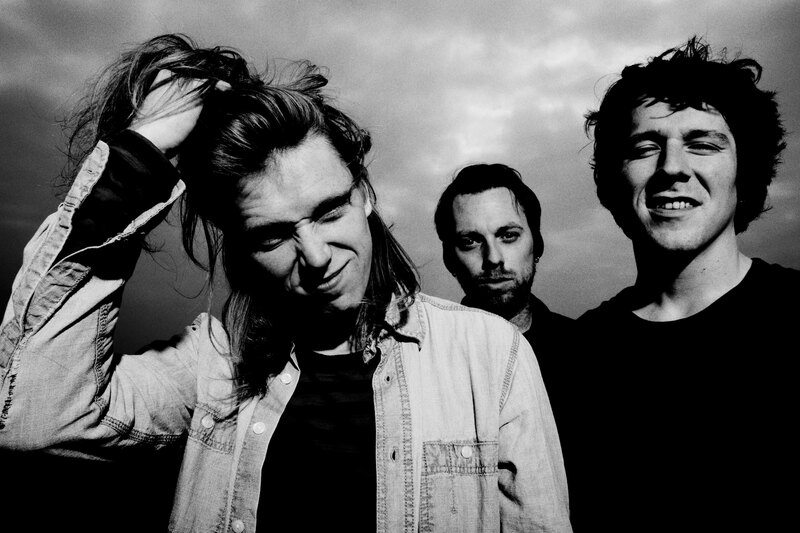 From Aberdeen and Exeter, The Xcerts blend fist in the air lilts of Scottish vocal with that kick of punk the Southwest does so well. Think Twin Atlantic at their most tender, or Biffy at their most destructive. Following 2014’s There Is Only You, which saw DIY declare them as “masters of their genre”, 2015 brought the I Don’t Care EP. It’s a clear progression that sees this trio at home on much bigger stages. Live, they’re a fervent and intimidating experience, exploding with passion and annihilating riffs that have already hit T In The Park and 2000 Trees this summer. Don’t miss this AIM Award gig on August 30th. One of New Zealand’s finest songwriters, Lawrence Arabia delivers wry observations of contemporary life in deftly arranged pop vignettes. Recorded primarily in late night sessions in the unglamorous Hutt Valley industrial suburb of Gracefield, again with Mike Fabulous, the album is full of the sparkling pop melodies that have delighted an ever-expanding audience, and some distinctly sonic flourishes, adding to an already richly satisfying songbook, and providing another chapter in the story of this unique and cherished artist. Singer of songs, teller of tall tales, beloved entertainer par excellence – Lawrence Arabia; every bit as good as he ought to be. Oslo based duo Anna of the North unveil new single “Us” – the fascinatingly fragmented, synth-driven follow up to previous singles “Sway”, “The Dreamer” and “Baby”, “Us” delves deeper into Anna of the North’s lore and emotion, dusk into evening and all the promise — good and bad — that night brings. After the short-lived, prolific “heavy pop” outfit Wu Lyf disbanded in November 2012, its members have been working with the urgency you’d expect. Last year, former frontman Ellery James Roberts self-released the epic, hubristic “Kerou’s Lament”, while drummer Joe Manning, guitarist Evans Kati and bassist Tom McClung formed the bright guitar-pop outfit Los Porcos. Now, McClung launches his first official release as Francis Lung. “A Selfish Man” burns with a sharper melody than those, yet bristles with discontent as it seems to address Wu Lyf’s tumultuous band dynamics with the lyrics “when everything becomes too much/ you have to leave/ abandoning was not the plan/ but I don’t wanna know you/ or wanna understand/ I can let you go/ cause I’m a selfish man“. At the time, McLung never spoke out about the band’s breakup – it’s clear he was honing and refining his response. With a run of sold-out 7”s and two critically acclaimed albums under their belt, PZYK veterans THE LUCID DREAM bring their tremolo-drenched sonic bombardment to Liverpool once more. Influenced by the likes of Spacemen 3 and A Place to Bury Strangers, The Lucid Dream’s piercing psych-dub jams are a sensory overdose of the wildest variety. Due to release their hotly anticipated third album in September, the Carlisle band are regularly championed by the likes of Stuart Maconie (BBC 6 Music) and Drowned In Sound, to name but a few. Having also recently unveiled their new single ‘Bad Texan’ to rapturous reception, The Lucid Dream are clearly a band on the ascendency in 2016. WHITE play their final Lexington show after their summer residency. Furiously exciting funk-guitar sound that draws on the post-disco pop of Haircut 100, Spandau Ballet, ABC et al; an artful croon that draws on Bowie and Edwyn Collins and some untrammelled shrieks worthy of Billy Mackenzie of Associates; and a pulverising electronic pulse that suggests a familiarity with everyone from Moroder to DFA. It is a spectacular way for White to announce themselves, and given its sound and cerebral dance attack, we consider it one of the finest debuts from a Glaswegian outfit since Franz Ferdinand’s Take Me Out. What are the dreams of a youth that never makes time to rest? For Yung frontman Mikkel Holm Silkjær, a Danish DIY figurehead who has left a catalogue of cassettes and self-produced songs in his wake, the goal seemed to be recording, and living, as fast as possible. Since he began to record music as a teenager (his father put him behind a drum set when he was 4), slow hasn’t been his preferred speed. Writing and performing songs filled with gritty guitar and driving rhythms that snap like a live wire, he’s been busy channelling the electric drive of youth, creating brief, flashing sonic portraits of his life in Aarhus, the country’s gritty, industrial second city. Boy-girl duo, spectral vocals, ’60s psychedelic influences, dreamy synths. Guitarist John Ridgard and vocalist Rebekah Wood formed the group over a bottle of wine in 2011. Since then Coves have toured with Echo And The Bunnymen and become darlings of Radio 6, experimenting along the way with sitars, megaphones and power-drill percussion. Danish guitar janglers with a pop sheen Virgin Suicide, Norwegian heart-throb baritone Tellef Raabe and Swedish popster Mavrick. Danish outfit Virgin Suicide find inspiration in jangly guitar-based pop music reminiscent of that found in certain pockets of the UK in the 60s, as well as the 80s. Turning elements of these throwback sounds into fresh and invigorating new noise, the band have spent 2016 enchanting crowds at the likes of by:Larm festival in Oslo, and at Roskilde Festival in their native Denmark. Norwegian singer songwriter Tellef Raabe is inspired by the likes of The National and Neil Young. His smart, dark, eclectic and catchy indie-pop, combined with his deep and rich voice, has attracted attention from music lovers over the past years. Inspired by the textured drama of Massive Attack, the pop experimentation of Prince and the rhythmic pulse of Thom Yorke’s solo adventures, Sweden’s Mavrick, aka 25-year-old Marcus Sennewal channels the spirit of these musical, er, mavericks into a framework of classic pop songwriting.